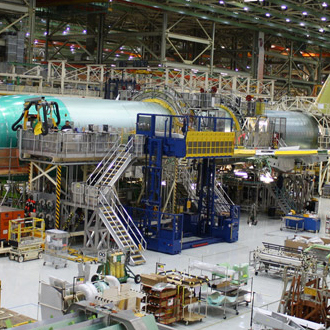 In today’s aerospace market, nothing increases efficiency and profitability more than creating productivity advances in the final assembly area. With a broad range of practical and proven product and years of industry specific experience, Design Storage is your low risk choice to implement productivity enhancement programs that ensure a reliable return on investment for years on end. 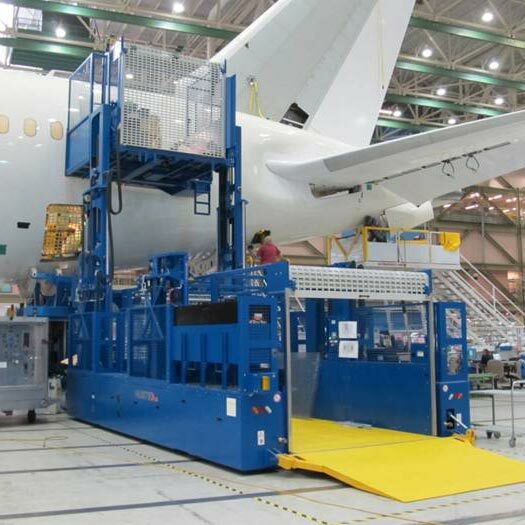 The EPL20 is a multistage material lifter designed to dock directly to the aircraft. Multidirectional steering with ultrasonic and laser distance sensors provide precise predictable docking. The EPL30 is workhorse of the Design Storage material lifters line up. The standard unit has a single platform with capacities to 10,000 lbs designed to interface with a fixed workstand. 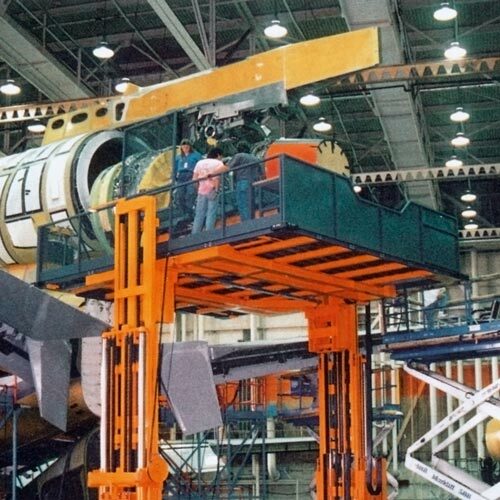 EPL material lifters can be customized to solve unique material handling challenges. Platform dimensions, capacities and various attachments can be modified for specific applications.